According to U.S. News & World Report, from October 2015 to October 2016, the number of packages containing weed or weed products rose by over 18 percent over the previous two time periods (October 2014-15 and October 2013-14). Shipping weed through the mail is a federal crime – even though half the states in the country have legalized marijuana in some form. This rise comes despite the 4% decrease in the number of arrests for mailing controlled substances overall. Although shipping marijuana is a great way to share and distribute weed, and people do it every day without consequence, it is very stressful because you’re playing with fire. The only way to completely avoid trouble is not shipping weed at all – and if you do, don’t mail more than 28 grams (one ounce) because any punishment rises significantly at that point. Under the Controlled Substances Act, cannabis marijuana is still mysteriously considered a Schedule I drug, which, according to the United States government, means it has great potential for being abused; it also means that it’s not accepted as medicine. Trafficking a Schedule I drug can result in prison time if more than 28 grams is shipped. Shipping weed of more than 50 grams means any sentence will worsen dramatically. If you do insist on shipping marijuana, it’s good to possess a valid medical marijuana card that allows for the possession, transport, and consumption of medical marijuana. However, be aware that this is not always bulletproof. Getting caught – obviously, this is your biggest threat because you’re breaking both federal and state laws, which means you could be staring at jail time. Hope you know a good lawyer. Getting lost – for some people, a lost package is worse than anything else because it represents not just lost weed but also lost money. However, keep one thing in mind if a package you send is ever lost: don’t send another package to that address for some time because you never know if the authorities are laying a trap for you. Various charges – for mailing marijuana, you can be charged with a federal crime and/or a state crime in the state from which the shipment originated and/or the state to which it was shipped. Charges can be compounded for the quantity or amount of marijuana; even sending edibles through the mail can put you at risk. Other charges can apply, as well, such as trafficking. Reward system – Unfortunately, this is not for you, the shipper. Instead, this is for employees of the U.S. Postal Service and private carriers such as UPS, FEDEX, and DHL. For information that leads to the convictions of those who mail illegal substances, workers are offered up to $50,000 as a “reward”.Be aware, though, that this does not target just the sender; if you’re the recipient, even unknowingly, you could be charged with conspiracy to distribute an illegal substance. 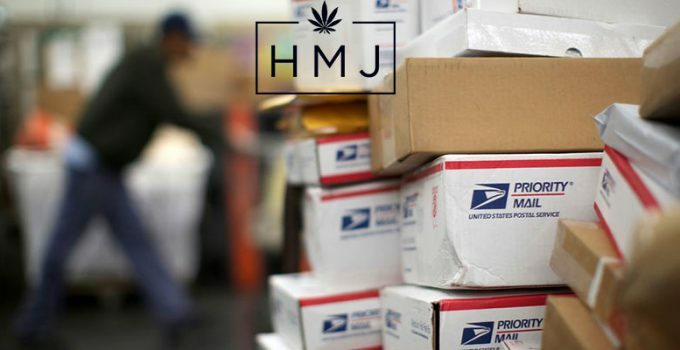 Mailing Marijuana – Does It Matter Where I Ship It? If marijuana is shipped over state lines, it is ruled to be interstate commerce, which means it falls under the jurisdiction of the DEA and the feds. This magnifies the seriousness of any charges you’re subject to. We strongly recommend not shipping marijuana over state lines. If you want to increase your chances of mailing weed safely, keep it in state. This is, by far, the best way to mail weed. Still, ship it properly to avoid unwanted detection and hassle. In fact, many law enforcement officials are on record saying that they don’t want to waste time on trivial marijuana cases, so if you do ship weed, wrap it and package it well. As you know, however, this is the real world, not a fantasy. That means mailing weed safely is not guaranteed despite any precautions you take. It also means that the Feds don’t always abide by the Constitution or respect states’ laws and/or individual rights when it comes to shipping weed. Raids still happen and having packages seized is still common, which could result in various types of trouble, such as arrest at gunpoint or the freezing of bank accounts. Furthermore, feds and other law enforcement have upgraded their drug detection systems, such as x-ray scanners, to detect marijuana or pick up images that can get you in trouble. They also use drug-sniffing dogs to detect odors permeating from packages, containers, and even plastic bags. To increase your chances of avoiding trouble from shipping weed, use airtight bags that zip tight and keep the skunky smell out; remember, a dog’s sense of smell is as much as 100 times more sensitive than yours. If you can smell something, you know the dogs will; and even if you don’t, the dogs still might. One thing to always keep in mind: though shipping marijuana within your state might be less risky, it’s still subject to the strict interpretation of the overzealous Feds, who might do anything to capture or arrest you, regardless of the law. With the legalization of Cannabis in some states, new weed delivery companies are starting to appear, and you can order weed and weed related products online. If you’re planning on ordering with Eaze we recommend you to check our Eaze coupon code article where we constantly update and add all the new coupon codes. 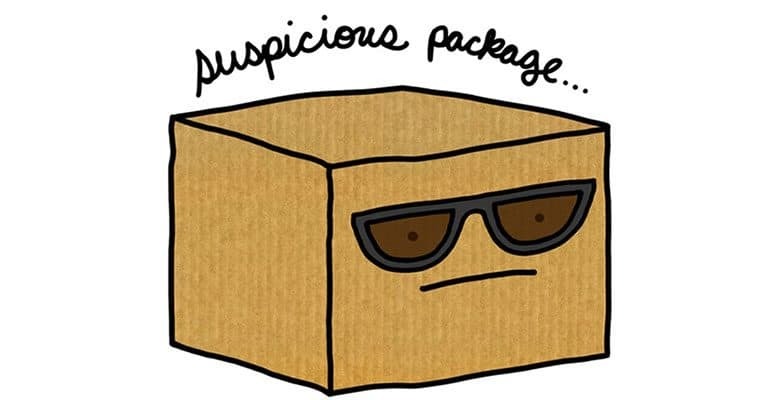 What Makes a Package Suspicious? There are a variety of things that can raise suspicion from shipping employees and postal inspectors. Because these methods can’t be opened without a warrant, allow for tracking, provide specific delivery times, and have a high shipping weight limit (up to 70 pounds) – which make them more reliable, secure, and discrete – they raise a lot of red flags. Which Shippers Should You Use To Ship Weed (And Avoid)? Believe it or not, the carrier you use is important, as not all of them treat the act of shipping weed the same. The USPS is an agency of the federal government, so it must obey federal guidelines to the letter. Under U.S. Code 1716, it’s a felony to use the U.S. Postal Service as a method for mailing marijuana, even within the territorial limits of pot-legal states such Washington, Colorado, and California. Thus, you might be surprised to learn that many veteran shippers prefer the USPS to UPS, DHL, and/or FEDEX because it has clear requirements restricting the number of random package inspections. This protection falls under the Fourth Amendment, which states that postal inspectors can only get a search warrant when it’s based on probable cause. Otherwise, employees are not allowed to open and inspect mail and parcels. According to the USPS itself, the Fourth Amendment protects first class letters and parcels from being searched and seized. Don’t forget a crucial tidbit, though – federal law trumps all other laws of the land, including state laws. Thus, mailing marijuana is illegal regardless of method of transport. Shipping weed via the USPS offers a modicum of protection against search and seizure, which understandably seems to make it the safest way to ship marijuana. Yet, as a Federal entity, the US postal service complies and works with the DEA to enforce anti-trafficking laws. And once a package containing marijuana crosses state lines, it’s instantly a federal crime, which exacerbates the issue considerably. The consequences? It comes in the form of punishment of up to a year in federal prison and/or a fine as high as $250,000. These private entities have the right to open and inspect any package at their own discretion and without any cause for suspicion. They are not federal agencies, so if they come across a suspicious package, they don’t have to obtain a warrant to open, search, and seize it. In fact, it’s been ruled by the Supreme Court that the act of allowing a private third-party entity to handle your package means you forfeit the right to any expectation of privacy. In 2013, UPS was forced to pay a settlement of $40 million for a federal probe into shipping drugs from illegal online pharmacies. In 2014, FedEx was indicted on charges of conspiracy to distribute controlled substances because it was deemed responsible for transporting illegal painkillers and other prescription drugs. Although neither case involved shipping marijuana, it’s proof that private carriers such as UPS, DHL, and FEDEX will comply with the Feds and monitor packages for illegal drugs. These things are the difference between the recipient enjoying their weed or both of you ending up in court. Legalization of marijuana continues to sweep the country, and the legal medical and recreational marijuana marketplace continues to grow. So, too, does the lure of shipping weed through the mail, which makes it easy to get complacent. Don’t be fooled. Be diligent about shipping marijuana through the mail. Although half the states in the country plus the District of Columbia have legalized weed, shipping marijuana through the postal system or via courier remains illegal. And because of this increase in the number of states legalizing weed, the DEA is keeping a close eye of packages being shipped now more than ever. Federal law still considers marijuana illegal, and despite being legal in 25 states, mailing weed or transporting it across state lines is still illegal.